HeyPlantMan! 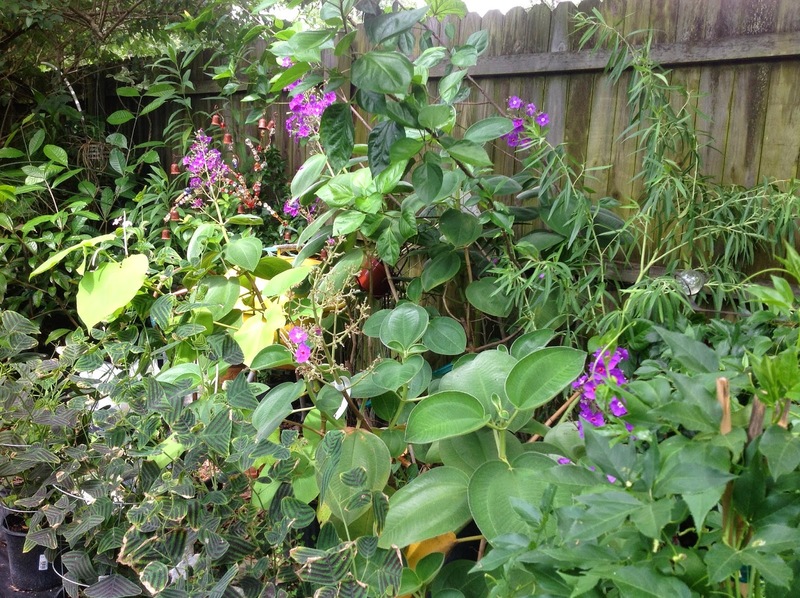 Exotic Tropical Plants from St. Pete FL: Settling into September, new Season to begin soon ! Settling into September, new Season to begin soon ! Greetings and welcome to Fall in to Florida ! Okay, only kidding but it IS coming...really. With all the rain lately, our yard is just exploding so thought we would share some pics. Summer Market season is over and markets will start back up in October, so for the month of September, we are just hanging out, growing, organizing, planning and just enjoying our garden. We have our lineup of Markets and shows, so let me tell you about them, while we cruise around the yard. Our Dwarf poinciana above is blooming like mad and sure is much happier for the pruning we gave it at the beginning of summer. 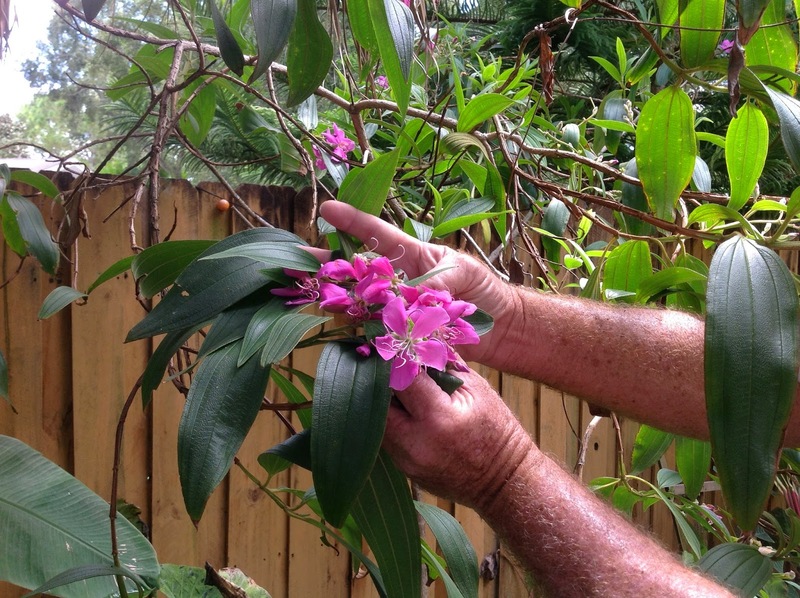 Our older Tibouchina heteromallas are blooming like mad and the butterflies love them. Our back yard is not that big so we have to mesh everybody together in beds and in pathways and they all live harmoniously. Out front, in full sun, we keep our Madagascar Palms and succulents, along with Egyptian Papyrus. 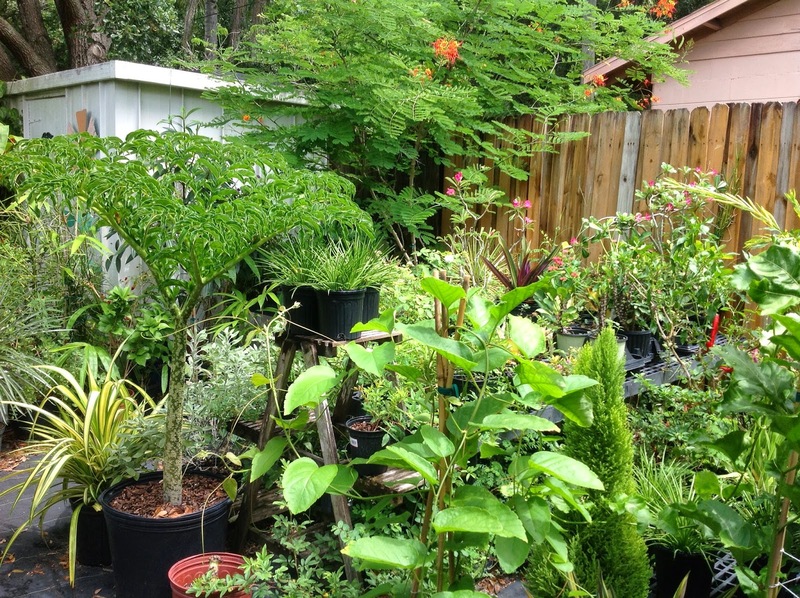 This area is also home to new seedlings of our popular "magic Mimosa", the plant that magically closes up when touched ! In the back morning-sun walkway, our Pink Tibochina has been been giving us glorious color - you don't see this Pink one very often. 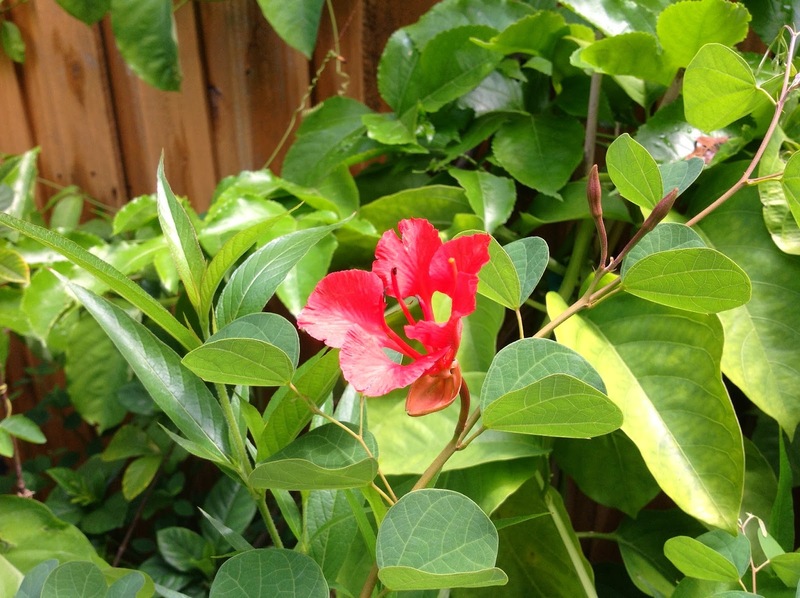 Hong Kong Orchid trees are one of Mitch's favorites and this one is a rare Red-flowered one, just opening this morning. We have tons of succulents growing, along with the rare Wercklea ferox babies on the ground below. In the Hibiscus family, these things are mighty spiky but produce a gorgeous red bloom with yellow center. They can grow about 8 ft tall. 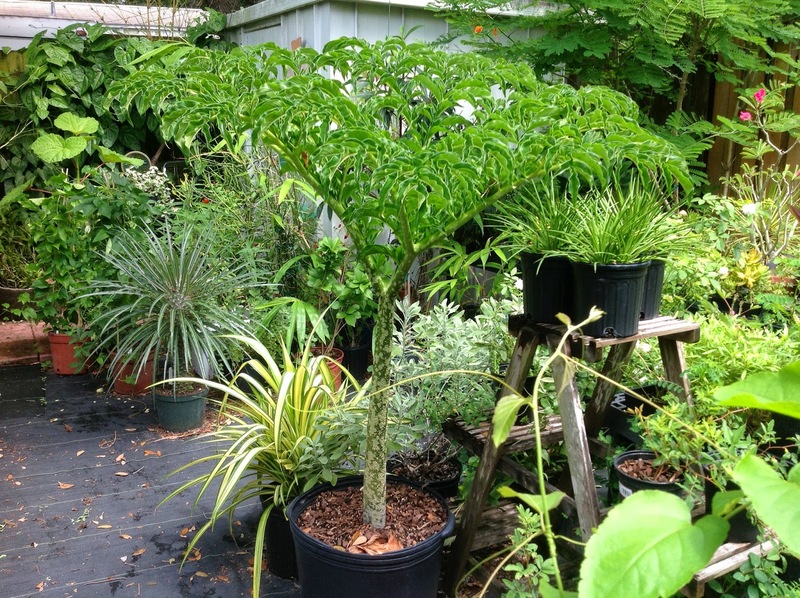 The Amorphophallis is one of Annie's favorite plants and this one is just huge, standing almost 5 ft tall, with a gorgeous canopy and the distinctive mottled stem. Our Butterfly wing (Christia obcordata) continue to thrive in the heat and humidity of the summer. When they get a bit leggy, it's good to cut them back to prevent breakage. We have found growing them in first half of the day sun is just about perfect ! So, there's just a few pics to share and although markets are on hiatus, we are still available by appointment this month for you to come on by and get some goodies. Here's the scoop on what's happenings for our shows and markets coming up ! Sat. Sept. 20th - Orange County Master Gardener show - Popular show with over 30 speciality vendors from around the state. Show hours 9am-4pm, rain or shine. 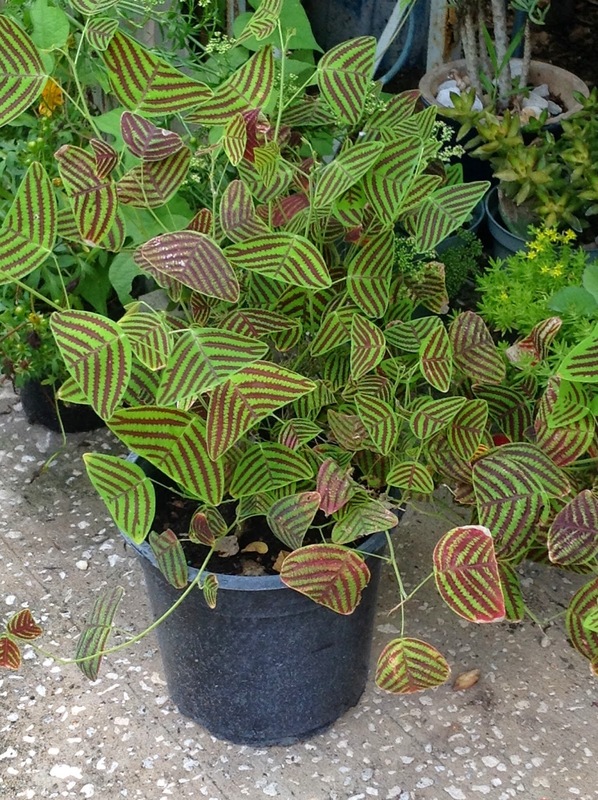 Fri-Sat-Sunday, October 3,4 & 5th, Annual Fall plant show at Tropiflora Nursery, Sarasota. 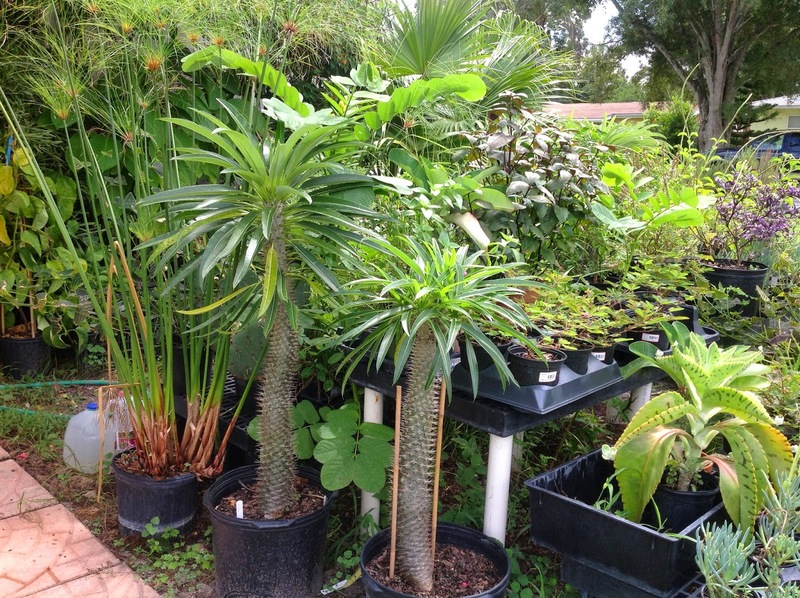 Tropiflora specializes in rare and unusual exotics, Bromeliads, Cacti and Succulents from around the world. They also invite 20 of their vendor friends, like us, to set up at the show too....you will find the Fern Man, the Croton Guy, Rareflorida, Garden antiques, Garden art and crafts, Hibiscus and much more. Free admittance, live music, food tent, carts available for use, free parking in and all around. check out tropiflora.com for details. Saturday, October 4th, Saturday Morning Market reopens for its 13th season ! The full market will be back at the Al Lang Field. Market hours 9am-pm. Live music, tons of great food and great vendors. Saturday, October 18th - Annual Boktoberfest at Bok Tower, Lake Wales, FL - This very popular show brings people in from all over the state. Added bonus, free admittance on this Plant sale day ! Over 50 speciality vendors from around the state, garden tours, live music and food galore. 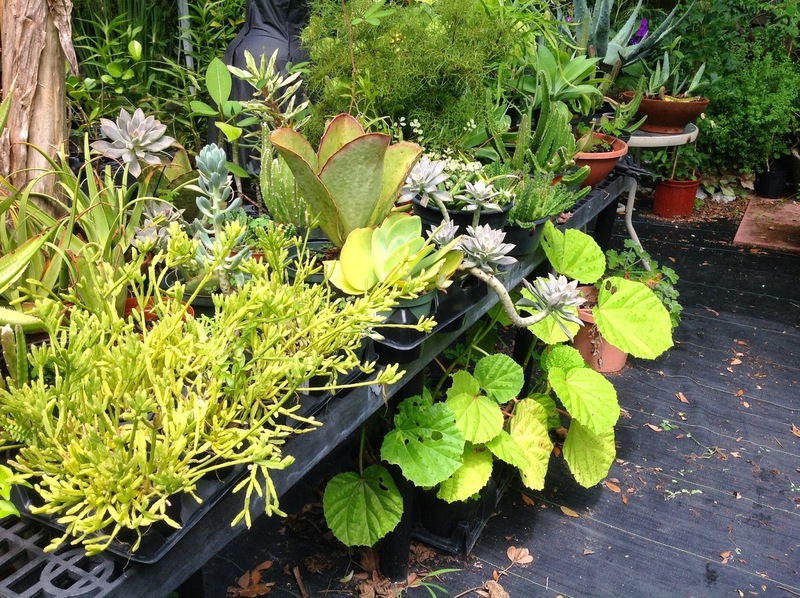 If you are a member, you can come on Friday evening from 5-8pm to get first dibs on plants ! Plenty of parking and shuttles to get you and your plants around. This unique little town hosts this popular Fall show and you will find over 75 specialty vendors from around the state. Set up on the streets of downtown now, it's easier to get to, with good parking all around. Free admittance, tons of great cafes and restaurants all around. Note: We may be participating in other area Markets in the Fall, so stay tuned to the blog for those updates.